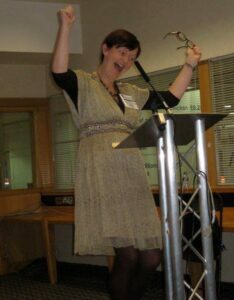 We’re excited to reveal a whole host of reasons for indie authors to embrace London Book Fair, with this preview of events of special interest to self-publishing authors – and for those who can’t attend, we look forward to ALLi’s free Self-Publishing Advice Conference, which runs live online the following Saturday (March 16). Happy 7th Birthday to ALLi! ALLi celebrates its seventh birthday at the London Book Fair, where it launched in 2012, with a glittering line-up of self-publishing role models and advisors who are flying in from all over the world. The Fair runs March 12-14, and ALLi is there for the three days, culminating in the now traditional drinks party at the Hand and Flower pub around the corner from the Olympia Exhibition Hall where the Fair is held. This year also sees a breakthrough for our Open Up to Indie Authors Campaign, as it is the first time that an indie author has ever headlined at the fair. 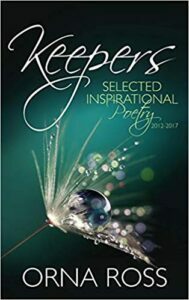 Alongside authors like Ian McEwan and Karin Slaughter, ALLi Director Orna Ross will be reading from her new poetry collection, Keepers, and answering questions about poetry publishing in the digital age. The ALLi stand (1F46, upstairs in Writers Block, beside Author HQ) is a warm and welcoming hub not only for ALLi members and their friends, but for all indie authors. It’s a great place to meet other authors, partners and interested parties – so even if you’re not a member yet, we’d love to see you there! 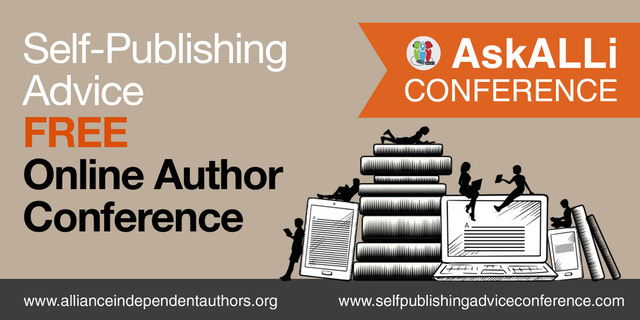 ALLi members may bring their books along for display in our Member Showcase at the ALLi Stand. We will also be offering advice clinics across the three days of the fair. We are very grateful to our Partner Members and sponsors, Books Go Social, Chanticleer, Friends of Alice, Pro Writing Aid and PublishDrive, who allow us to have this space as our home at the fair. Thanks also to ALLi members who have volunteered to run the Advice Center Clinic: Sacha Black, Sarah Proulx Calfee, Wendy Jones, Alison Morton, Joanna Penn, David Penny, Margaret Skea and Debbie Young. Finalists from the inaugural Selfies Award discuss their experiences that led them to pursue self-publishing Our congratulations to Jane Davis, Caroline Goldsworthy, Susan Grossey and Jane Steen, ALLi members shortlisted. At the Hand & Flower Function Room, 1 Hammersmith Rd, London W14 8XJ, kindly sponsored by Amazon KDP. Join us for drinks and finger food, meet and mingle with Amazon staff and other Partner Members, ALLis and friends. For those who cannot attend the London Book Fair, we bring all the fun of the fair to indie authors everywhere with our free online live Self publishing Advice Conference on Saturday, March 16, when we run 24 advice sessions over 24 hours, so there are live sessions during waking hours for all our members, wherever they might be in the world, for our membership is truly global. This time our topic will be: Business Models for Authors: How to make and sell more great books and run a successful author business. Speakers will include Bryan Cohen, Adam Croft, Jane Friedman, Dean Wesley-Smith, Ricardo Fayet, Michael Anderle, Dave Chesson, Mark Lefebvre and Joseph Alexander. More details will follow in tomorrow’s post here on the ALLi blog.